The FIRST SATURDAY BOOK CLUB will discuss The Secret History by Donna Tartt. The Truth & Tales Reading Group will meet at the Around the Corner Cafe on Thursday May 15 at 6:30pm to discuss The Goldfinch by Donna Tartt and/or Madonnas of Leningrad by Debra Dean. Join us for a reading group discussion of Secret History by Donna Tartt! The DOG EARED Goldfinch BOOK CLUB facilitated by Francesca DeStefano will discuss The Goldfinch by Donna Tartt. The Truth and Tales Reading Group will meet at the Around the Corner Cafe on February 20 at 4 pm and 6:30 pm to discuss The Secret History by Donna Tartt. Mac's Book Club will discuss The Secret History by Donna Tartt on Wednesday, February 19th at 7:30 pm. The first novel by Donna Tartt, author of the National Bestseller The Goldfinch, The Secret History is a contemporary classic. Thursday, November 7 at 7PM BookPeople Presents Bestselling Author Donna Tartt speaking & signing The Goldfinch: A Novel Books & Tickets Are Now Available! PLEASE READ: The speaking portion of this event is free and open to the public. Tickets are only required for the signing portion of the event. Books & tickets are now available. Purchasing a book online automatically assigns you a ticket for the signing. There is no separate "ticket" item to add to your cart. Only copies of The Goldfinch will be signed at this event, no other books or memorabilia. Because we cannot guarantee we'll have signed stock, we are not taking orders for signed copies of Tartt's books. Please call the day after the event to inquire about the availability of signed books. The author of the classic bestsellers The Secret History and The Little Friend returns with a brilliant, highly anticipated new novel. Composed with the skills of a master, The Goldfinch is a haunted odyssey through present day America and a drama of enthralling force and acuity. It begins with a boy. Theo Decker, a thirteen-year-old New Yorker, miraculously survives an accident that kills his mother. Abandoned by his father, Theo is taken in by the family of a wealthy friend. Bewildered by his strange new home on Park Avenue, disturbed by schoolmates who don't know how to talk to him, and tormented above all by his unbearable longing for his mother, he clings to one thing that reminds him of her: a small, mysteriously captivating painting that ultimately draws Theo into the underworld of art. As an adult, Theo moves silkily between the drawing rooms of the rich and the dusty labyrinth of an antiques store where he works. He is alienated and in love-and at the center of a narrowing, ever more dangerous circle. The Goldfinch is a novel of shocking narrative energy and power. It combines unforgettably vivid characters, mesmerizing language, and breathtaking suspense, while plumbing with a philosopher's calm the deepest mysteries of love, identity, and art. It is a beautiful, stay-up-all-night and tell-all-your-friends triumph, an old-fashioned story of loss and obsession, survival and self-invention, and the ruthless machinations of fate. 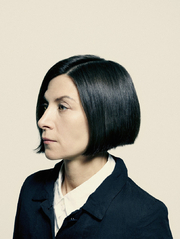 Donna Tartt is an American writer and author of the novels The Secret History, The Little Friend, and The Goldfinch. She won the WH Smith Literary Award for The Little Friend in 2003. In order to have anything signed at a BookPeople event, a copy of the event book must be purchased from BookPeople. If you purchase your book from BookPeople in advance of the event, please save your receipt and present it at the event. Thank you for supporting Donna Tartt and your local independent bookstore! Vanity Fair: It’s Tartt—But Is It Art? Donna Tartt is currently considered a "single author." If one or more works are by a distinct, homonymous authors, go ahead and split the author. Donna Tartt is composed of 11 names. You can examine and separate out names.